The hip hop group A Tribe Called Quest has been lauded for decades now, blessed with encouraging record sales and a consistent vibration of love emanating from the rap community. However, they've rarely been explored in full, leaving actor Michael Rapaport to step behind the camera and investigate the inner workings of this musical union with his thumpy, riveting documentary, "Beats, Rhymes & Life: The Travels of a Tribe Called Quest." Formed in 1985, A Tribe Called Quest kicked off in New York City, where Q-Tip, Phife Dawg, Ali Shaheed Muhammad, and Jarobi White (who left the team in 1991, returning in 2006) joined together to ride the coattails of the citywide explosion of rap, learning from burgeoning masters, including their idol, DJ Red Alert. Endowed with a smooth sound and an interest in the realm of conscious hip hop, the group jumped into the 1990s armed with a critically acclaimed album ("People's Instinctive Travels and the Paths of Rhythm") and a hunger to prove themselves as a lyrically and musically elevated unit hoping to make their mark in an increasingly crowded field of newcomers. 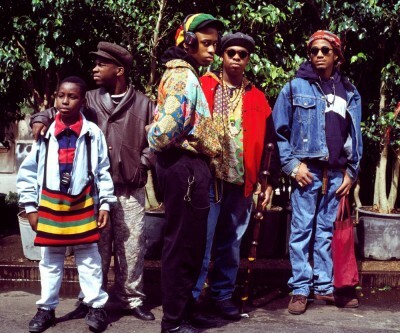 After tempering their dashiki-cloaked look, the Tribe took off, tasting great success and influence with 1991's "The Low End Theory" and 1993's "Midnight Marauders," two albums that solidified the sound and esteemed position of Tribe in notoriously fickle hip hop circles. The group finally found their footing, ready to take over the world. While interested in establishing the history of the group and their musical triumphs, Rapaport isn't keen on simply recounting acts of glory and foundation. "Beats, Rhymes & Life" assumes a more personal approach, seeking out the members of Tribe, allowing them to communicate their story, warts and all. The intimacy is marvelous, observing the gentlemen articulate hip hop dreams and musical experimentation, with the director shaping four distinct personalities that have a great deal to share about their time with Tribe, also inviting industry titans (e.g. Beastie Boys, Pharrell Williams, Common) to share their viewpoint on the impact of the unit. There's plenty of love to be found here (sold with a flavorful soundtrack and colorful animation), but a dark side remains. As with many groups, interpersonal communication skills eventually dwindled between the members, with Q-Tip and Phife Dawg's tumultuous relationship allowed ample screentime to unfold, covering the clash of egos and worrisome medical emergencies (Phife Dawg has struggled with diabetes for most of his life) that eventually snapped the fellowship. The members are candid about the dissolution of Tribe in 1998, but remain committed to articulating the respect shared between the men and hope for future connection. Rapaport grows sentimental but never mawkish, uncovering a true bond that petty arguments and jealousies have failed to break. Understanding the dynamic of the group is appealing, yet the larger portrait of the 1990s hip hop scene is where the documentary finds enormous success. Rapaport is interested in that defeated feeling these elder statesmen share about the current musical landscape, returning to the heyday of positive African-American figures, including the formation of the Native Tongues collective (with De La Soul and Jungle Brothers). That mood of musical unity, of a sonic movement, is incredible, vibrantly recounted in "Beats, Rhymes & Life." 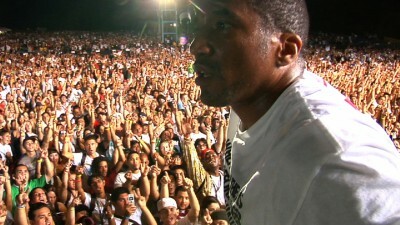 It's more than just a documentary, it's a time capsule of hip hop originality and confidence. Buy tickets to "Beats, Rhymes & Life: The Travels of a Tribe Called Quest" now!